IT'S not every day a pop princess showers you with praise, and confetti. But that's what happened to Zumba teacher Megan Longhurst on The Voice last night. 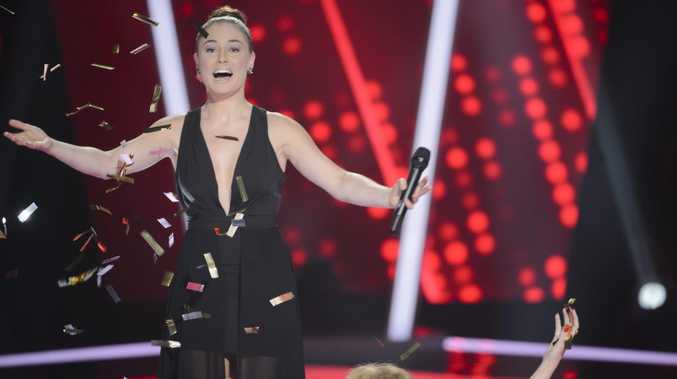 The 19-year-old was showered with confetti by coach Kylie Minogue after her rendition of Peter Allen's Don't Cry Out Loud in the final instalment of the show's blind auditions. In her competition with Joel Madden to win over Longhurst, Minogue reached into her handbag to retrieve the metallic confetti she'd been waiting to use on a person with "sparkle". "I didn't expect anyone to turn let alone by the end of it to have Kylie throw confetti all over me," Longhurst told APN. "I love my glitz and glamour, so as soon as she did that I knew who I was going to choose just from that moment. "She said something about building a show around me and that's exactly what I want. I want the glitter falling down. It felt like I'd already won." Allen's ballad has special meaning for Longhurst following the death of her father, Rugby League player Gary Longhurst, in 2007. "At this stage in my life it was something I could really connect to," she said. "I think with what I went through with the passing of my dad it's exactly what I did; I shut out my feelings. It's a song that shows where I was at with my life at that moment." 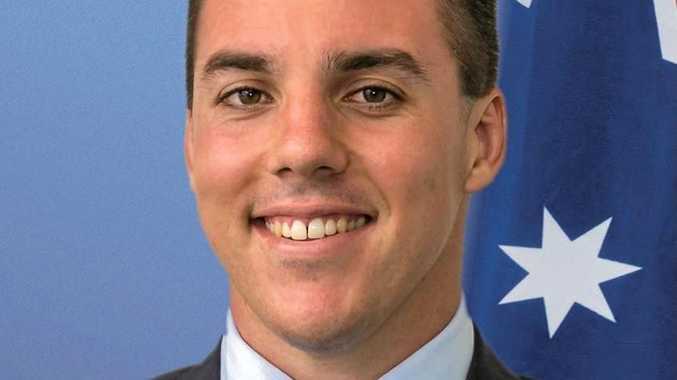 Longhurst grew up in and around Inverell in northern NSW before moving to Brisbane two years ago to work as a Zumba and fitness instructor and to pursue musical theatre. She performed the national anthem as a tribute to her ill father, who suffered from motor neurone disease, at the Anzac Day Test at Suncorp Stadium in 2006. But she says she was much more comfortable singing in front of 50,000 footy fans than she was on The Voice stage last night. "I found singing the national anthem in front of 50,000 people so much easier. They're all singing the anthem with you," she said. "It was completely the opposite with the blind audition. You're constantly drilling your eyes into the backs of those four massive chairs. You don't know what they're (the coaches) thinking, how they're feeling." A keen dancer, Longhurst hopes to pursue a career as a performer on the stage and screen. Her next challenge will be to survive the show's battle rounds, during which she will have to compete against another singer from Team Kylie. "Normally when you're on stage and singing with someone else it's a duo, so it's (the battle) a very odd thing," she said. "I just hope to do my best and if I leave, then to leave on a good note." The Voice battle rounds start on Sunday at 6.30pm on Channel 9.